Hello again from Ma’alot 2015!!! Since we last wrote, we had a wonderful second Shabbat of second session which included a great sicha (discussion) with Rabbi Steve Greenberg about hachnasat orchim (welcoming guests) and understanding how to welcome the difficulty of difference. 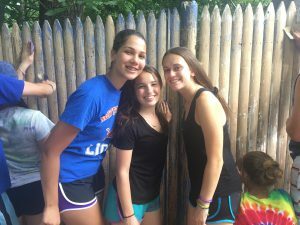 Sunday was an exciting day for all of us, because the annual Jewish Arts Festival took place this year at our very own Machaneh Yavneh. 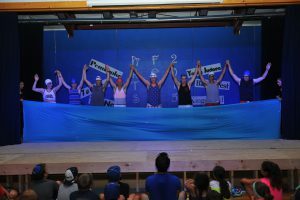 Six other Jewish summer camps in the New England area come together each year to celebrate their Jewish heritage with Israeli singing and dancing. 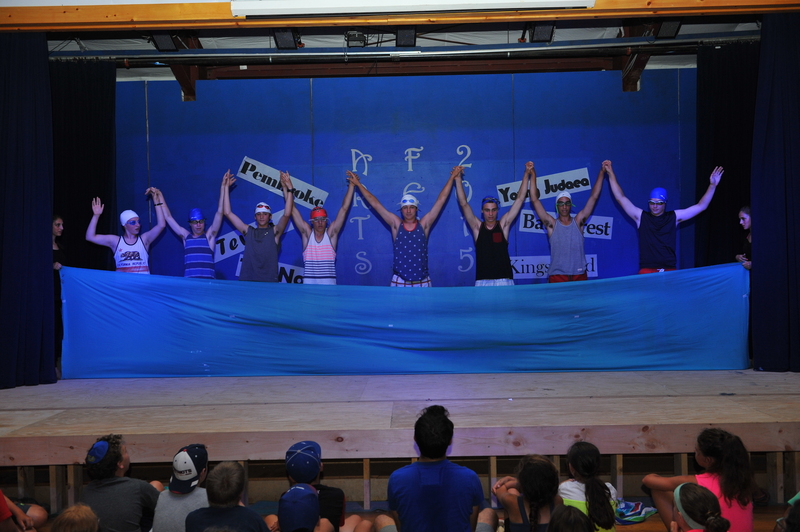 Around 20 of our chanichim (campers) participated in either the singing or the dancing, and we were incredibly proud to watch them blow away the entire audience with their performance. 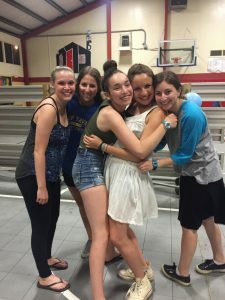 During the day, those who were not practicing for the performance were either working on our chesed (acts of lovingkindness) project of painting the fence in the girls’ area or escorting the other camps here for Arts Fest to their rehearsal locations. On Su nday night after Arts Fest, the aydah (unit) came together for our wedding reception!! There was tons of simcha (happy event) dancing and candy. We learned the Jewish custom of a l’chaim (making a toast) with yummy different soda cans. And in honor of Ethan F.’s birthday, we even had steak, sponsored by his parents!